For personal, individualized legal services that are tailored to your unique family law and estate planning needs in southwest Missouri, the Lisha Prater Seery, LLC, law firm in Springfield is here to help. 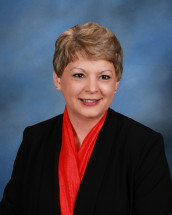 Founding attorney Lisha Prater Seery is a Missouri native with more than 15 years of experience in family law practice areas such as child support, child custody and visitation, parenting plans, co-parenting, developmentally appropriate contact schedules, spousal support, post-decree modifications, and paternity issues. Lisha Prater Seery is equally proficient as an estate planning lawyer, offering sound counsel on wills and trusts, powers of attorney, advance health care directives, asset protection and succession, adult and minor guardianships, probate administration and solutions for disputes that lead to probate litigation. She is committed to providing these quality legal services for her clients at affordable rates, according to flexible payment option plans. As a member of the Missouri Bar Association and American Bar Association, Lisha Prater Seery has served on committees devoted to family law, elder law, probate and estate planning, and real estate. She has been a certified divorce financial analyst, certified guardian ad litem and certified mediator with advanced training in high-conflict divorces. A founding member and officer of the Missouri Chapter of the Association of Family and Conciliation Courts, Ms. Seery also founded the Family Conflict Resolution Center in Springfield, a non-profit organization providing low-cost mediation and parent education to low-income litigants. In 2009 Lisha Prater Seery was awarded Super Lawyer status in Family Law. The Lisha Prater Seery LLC, law office serves individuals, couples and families in Springfield and surrounding counties such as Greene, Christian, Webster, Taney, Lawrence, Dallas and Polk.